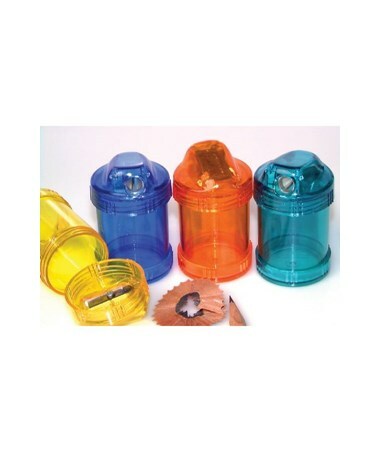 The Kum Ergonomic Sharpener Display (Box of 12) is designed for comfort and ease of use. Ideal for students, crafters, artists, and other professionals, it features an ergonomic plastic barrel that provides an easy and convenient grip while sharpening. 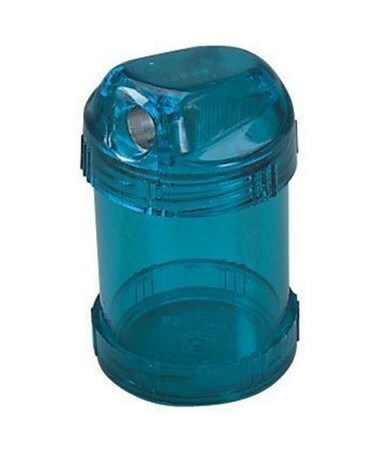 It comes with a screw-on top where the single-hole, magnesium alloy metal sharpener is attached. The Kum Ergonomic Sharpener Display (Box of 12) is equipped with an extra-hard, high carbon steel blade for superior strength and durability. It is screw-mounted to ensure wobble-free and consistent sharpening. With a spring loaded mechanism that reduces friction, it allows easy and smooth cutting at all times. 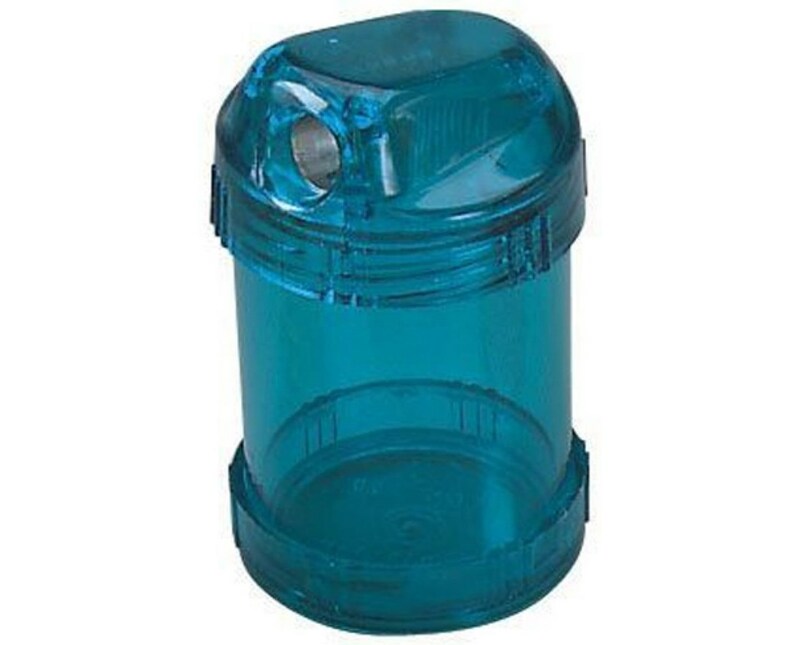 Each package includes 12 single-hole sharpeners in assorted ice colors.